Kumkumadi Tailam also called kumkumadi oil is one of the most famous ayurvedic formulations that is extensively used for skin care. In India, kumkumadi tailam is used for fairness, reducing dark circles, treating acne, fading acne scars and also for treating hyper pigmentation. It is also used for treating both oily and dry skin as it regulates the oil production in our skin. Since kumkumadi tailam is so famous, we also get kumkumadi serum, kumkumadi cream also called kumkumadi lepam (ayurvedic formulation) all done with kumkumadi oil as a base. We also get kumkumadi soap, kumkumadi face packs, kumkumadi face scrubs and finally there is even kumkumadi face wash! Kumkumadi tailam is an ayurvedic formulation that contains as as many as 26 herbs that has anti bacterial, skin lightening, skin rejuvenating and anti ageing properties. The base for kumkumadi tailam is unrefined sesame oil and goat milk, the herbs are mixed in sesame oil and goat milk boiled and strained to get kumkumadi tailam. The herbs used for preparing kumkumadi tailam are red sandalwood (Pterocarpus Santalinus), licorice (Glycyrrhiza Glabra), Gokshura (Tribulus Terrestris), Sandalwood, Saffron, Laksha (Lacifer Lacca), Manjistha (Rubia Cordifolia), Vetiver (Vetiveria Zizianioides), Prunus Cerasoides, Madhuca Longifolia, Kantakari (Solanum Xanthocarpum), Solanum Indicum, Uraria Picta, Desmodium Gangeticum, Stereospermum Suaveolens, Oroxylum Indicum, Agnimatha (Prema Mucronata), Aegle marmelos (Bilva), Ficus Lacur (Java Fig), Ficus Bengalins, Indian Lotus, Banyan, blue water lily and Berberis Aristata. Along with the herbal powders, either cows milk or goats milk and unrefined sesame oil is used. The formulation for kumkumadi tailam varies from company to company, though the basic ingredients like sesame oil, licorice, saffron, sandalwood are used in most formulations, their proportion might vary a bit from company to company. How Is Kumkumadi Tailam Prepared? Traditionally the freshly ground powders of the herbs are taken and mixed together in a bowl. To the powders, water is added, mixed well and allowed to soak for a few hours and then boiled till it is almost reduced to one fourth of the original liquid. Some formulations, boil only certain herbs and make a paste of the others herbs. Then they are mixed together with either cow’s milk or goats milk and sesame oil and boiled once more till there is no moisture left. Then it is filtered and bottled. Kukmkumadi tailam is mainly used for skin lightening to get fair and glowing skin. This is because herbs like sandalwood, saffron and licorice used in kumkumadi oil have skin lightening properties and with regular use it helps fade out all skin blemishes leaving the skin fair and glowing. Kumkumadi tailam is very gentle to be used around the eyes too. If used around the eyes, it will greatly help reduce dark circles and wrinkles around the eyes. To use, mix few drops kumkumadi tailam with few drops of organic virgin coconut oil and then apply it gently around the eyes everyday. With regular use, it will fade away dark circles and under eye wrinkles…. Kumkumadi tailam is one of the best home remedies for treating acne as all the ingredients used in the formulation contains anti bacterial and anti inflammatory properties. It helps both treat acne along with reducing the inflammation really well. To use kumkumadi tailam for treating acne, take little bit of the oil and massage gently for a few minutes, leave it on for 10 minutes and then wash it off. Kumkumadi tailam has antioxidant properties so it greatly helps prevent premature ageing of the skin particularly it delays wrinkles if used regularly. It also keeps the skin supple and soft with regular use. To use, take little bit of kumkumadi tailam and mix with extra virgin olive oil and use it for massaging your face daily. Kumkumadi tailam is amazing for treating hyperpigmentation because it has amazing skin lightening properties, it helps even out the skin tone really well. Since it has anti hyperpigmentatation, anti bacterial and anti inflammatory properties, it helps prevent pigmentation if used regularly. It also treats existing pigmentation very quickly. 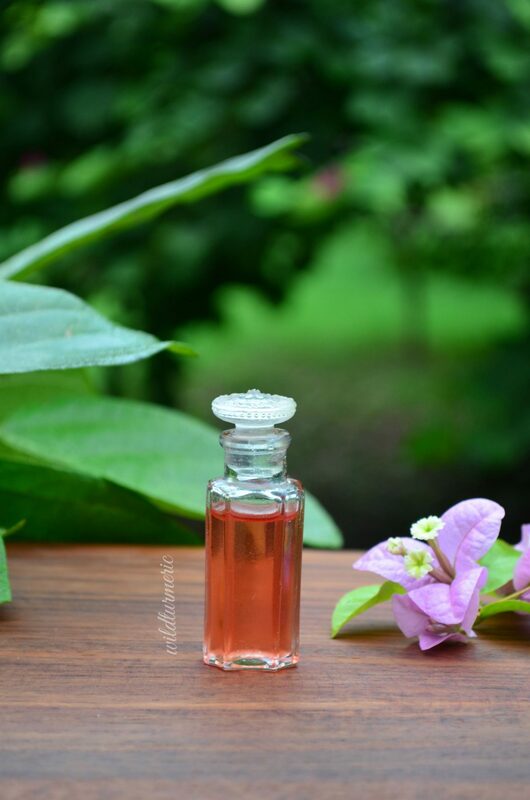 Kumkumadi tailam is wonderful to use for both oily and dry skin. When we use it on oily skin, it dissolves excessive oil and sebum production in the skin and will give your skin a much brighter look. If you don’t want to use kumkumadi tailam directly on the face, you mix it with store bought pure aloe vera gel and use. You will still get all the benefits of kumkumadi tailam. Since it has anti hyperpigmentation properties, applying kumkumadi tailam on the skin daily can greatly help reduce melasma. Melasma can be due to hormonal changes or due to sun exposure. Since we live in a hot country, many of us suffer from melasma, using chemical based products like hair dye also adds to the problem as they increase our skin sensitivity to sun. Regularly using kumkumadi tailam will greatly help. Since kumkumadi tailam has ingredients like saffron, sandalwood and licorice which have anti suntan and anti inflammatory properties. It will help both to prevent and to treat existing sunburn. Applying kumkumadi tailam will reduce inflammation and redness caused due to sunburn and will help us get back to our original skin color very soon. Kumkumadi tailam is amazing for reducing all kinds of blemishes including acne scars, black spots and dark spots. If you apply kumkumadi tailam for treating acne, it will greatly prevent scarring. If you have existing acne scars or other blemishes, try to use kumkumadi tailam regularly, though it will take some time, it will greatly help reduce scars. I have dry skin and kumkumadi tailam has done wonders to my skin. Kumkumadi tailam has moisturizing effect and with regular use, it will help soften even the most dry skin. Try to use kumkumadi tailam regularly as a massage oil to see results. You can also use kumkumadi tailam in the form of kumkumadi serum or kumkumadi cream. How To Apply Kumkumadi Tailam? To use, everyday night before going to bed, wash your face off all make up, pat your skin dry and apply kumkumadi tailam. Take little bit of kumkumadi tailam and massage it in your skin gently for 3 to 4 minutes in upward strokes. Be extra gentle while applying it around the eyes. Leave it on the skin overnight. If you have oily skin, you can mix kumkumadi tailam and apply it daily. People with oily skin can massage their skin with kumkumadi oil also, just make sure to wash it off about an 30 minutes to an hour after applying the oil. We can also mix kumkumadi oil with other unrefined cold pressed oils and use it for our skin. Where To Buy Kumkumadi Tailam? Some of the popular kumkumadi oil brands are vasu kumkumadi tailam, kottakal arya vaidya sala kumkumadi tailam, AVP kumkumadi tailam, khadi kumkumadi tailam are some of the popular kumkumadi oil brands. The formulation will differ from one brand to another but they all are good. The price of kumkumadi tailam varies from company to company. They range from 175 rupees for 25 ml to 250 rupees for 25 ml. Though expensive, I would suggest buying kumkumadi tailam only from popular brands. Kumkumadi tailam can also be ordered online but some brands are not available online. If you are living in India and don’t find the brand you are looking for online, I would suggest buying it from local ayurvedic shops. They usually stock all the brands of kumkumadi tailam. Kumkumadi oil usually agrees with everyone and is considered very safe to use for external application. But if you experience any allergic reactions, try to change the brand and see if the other brand agrees with you before giving up using it completely. We can buy kumkumadi serum in the markets but if you have kumkumadi oil at home, you can make your own kumkumadi facial serum at home easily. 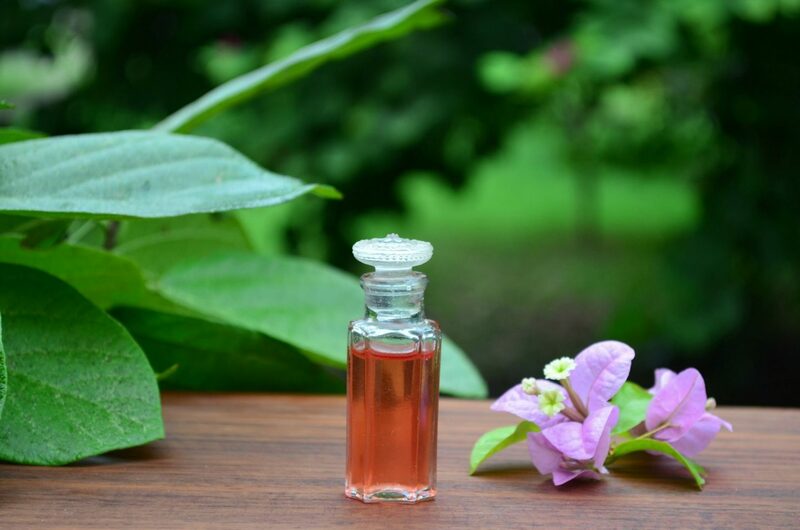 To make kumkumadi serum, mix 1 tsp of kumkumadi oil with 1 tbsp of homemade rose water and 2 tsps of aloe vera gel at home. Mix well and use it as a serum daily. Though you can use kumkumadi oil as it is, we can also mix it with unrefined oil and use. To use, take a tbsp of organic virgin coconut oil in a bowl. Now mix in equal quantities of kumkumadi tailam to it. 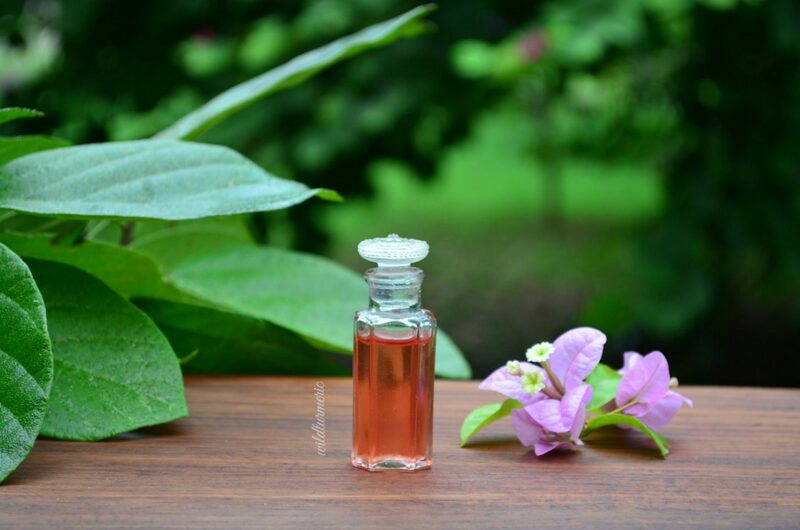 Mix well and store in a bottle, this oil can used as a massage oil for the whole body. It will help prevent all skin infections. Kumkumadi cream is so easy to make at home, all you need is two ingredients. One is kumkumadi tailam and the other is pure aloe vera gel that is free of color and perfume. 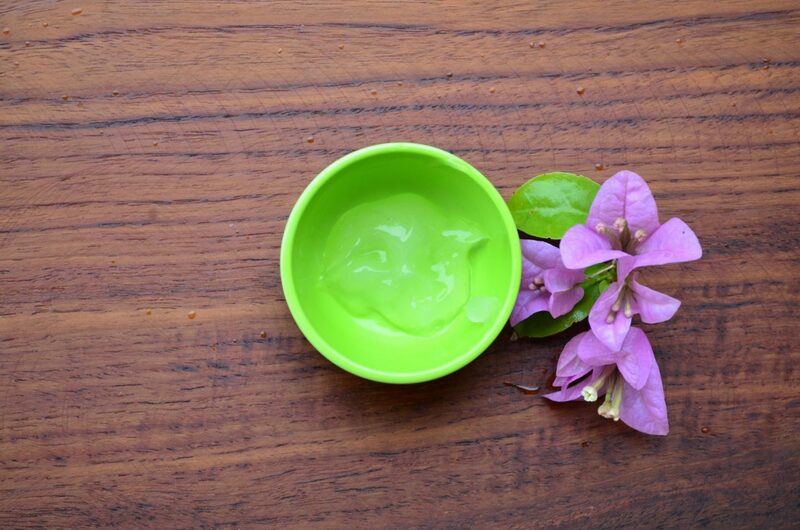 To make the cream, take a tbsp of aloe vera gel in a bowl, add in a tsp of kumkmadi cream to it. Now mix very well with a spoon, at first the mixture will be lumpy but as you keep mixing, it will form into a smooth kumkumadi cream.